e-distribuzione Spa is a Distribution System Operator (DSO) and a subsidiary of the ENEL Group, Italy’s largest power company. 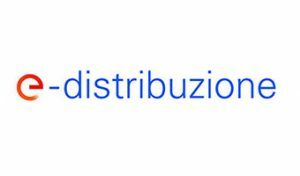 With about 32 million consumers and more than 1,150,000 km lines, e-distribuzione is the second largest DSO in Europe. As well as providing power distribution services to its household and business consumers, the company runs R&D activities with the aim to constantly improve supply services to consumers and facilitate new advanced services to the customers in the framework of smart grids developments. Solutions for the integration of renewable energy sources as well as the active participation of customers in the management of the electricity network have been investigated and tested by the company under different national and European projects. o WP1: Contribution to T1.2 and T1.3. o WP3: Contribution to T3.3 – input for Business Use Cases definition. Dispatcher Training, input for the development of EU-SysFlex Operator protocol. o WP6: Contribution to all the tasks – coordination between demonstrators, definition of system use cases (leader of T6.2), development of systems and tools, demonstrators / field tests (leader of the Italian Demo), common vision and conclusion. o WP9: Contribution to T9.2 – input for application for TSO-DSO flexibility data exchange. o WP10: Contribution to T10.1 – input for technical, economic and regulatory analysis. o WP11: Contribution to T11.5, T11.6 and T11.7.